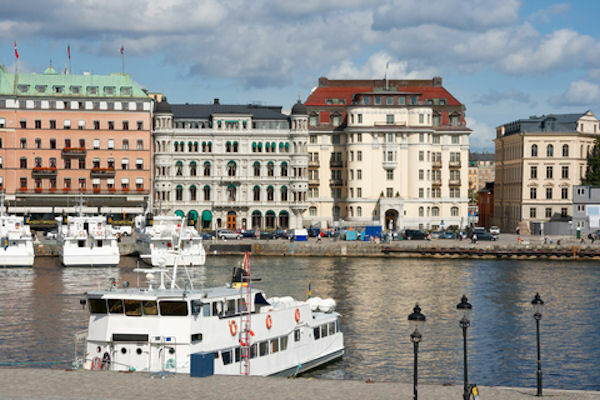 Built on a string of islands, Stockholm was founded 760 years ago (1252) by King Birger Jarl at the strategic point where the fresh water of Lake Malaren meets the salt water of the Baltic. A good starting point for an exploration of the city is the 'Old Town' (Gamla Stan), a cluster of old buildings and narrow cobbled streets which formed the original Stockholm. The old buildings are beautifully preserved and the main streets are pedestrian precincts with a host of boutiques, handicrafts and antique shops. The Old Town has three churches of historic interest, Storkyrkan and Riddarholm Church, both dating from the 13th century and the German Church with its magnificent Baroque interior. Overlooking the harbor is the Royal Palace, which contains the State Apartments, the Crown Jewels, the Hall of State and Chapel Royal, Royal Armory and Palace Museum. Within easy reach of the Old Town, in a magnificent setting on the edge of Lake Malaren, is Stockholm's elegant City Hall (Stadshuset), inaugurated on June 23rd 1923. There is a spectacular view of the capital from the top of the 350ft tower. Another spot for a magnificent view is the observation platform on the Kakn's communications tower which, at 508ft, is the highest building in Stockholm.